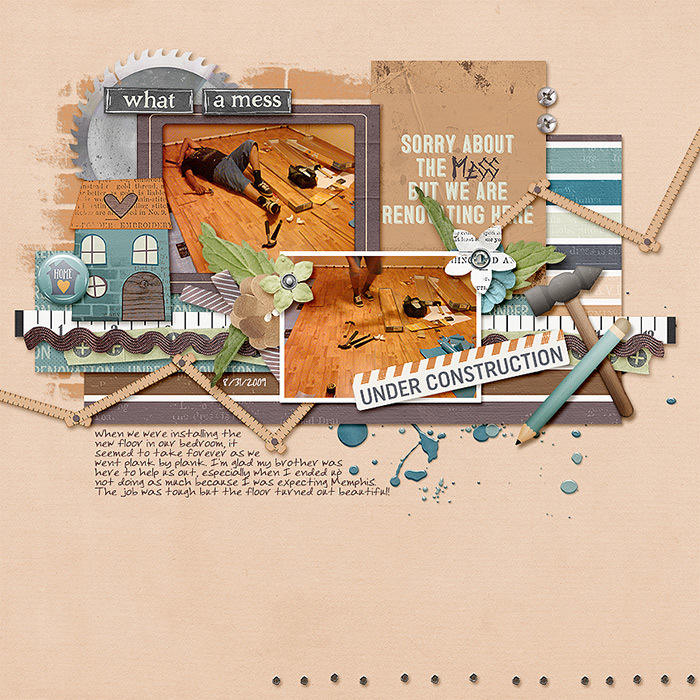 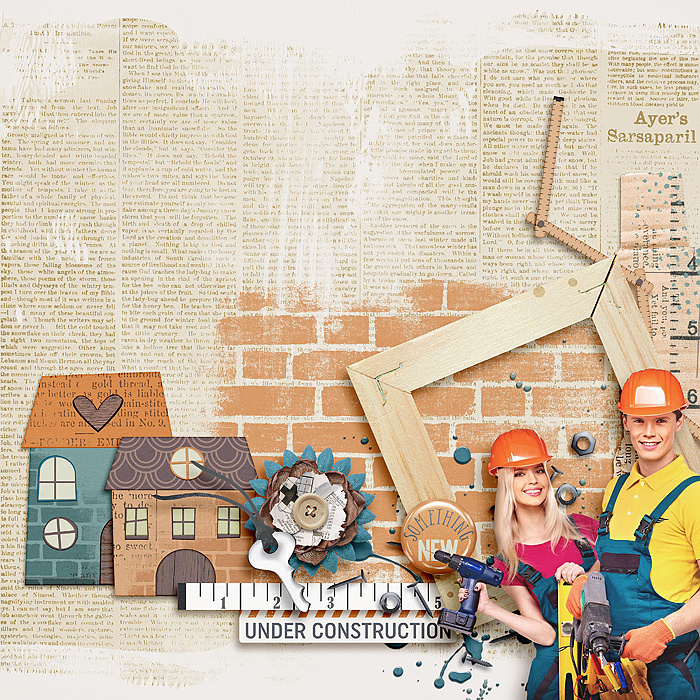 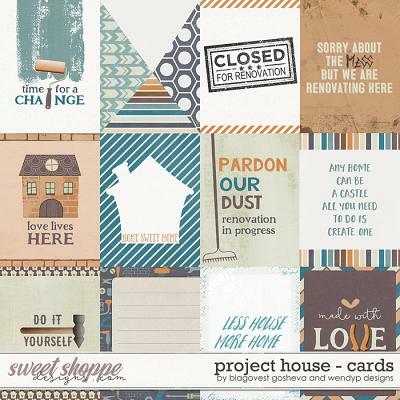 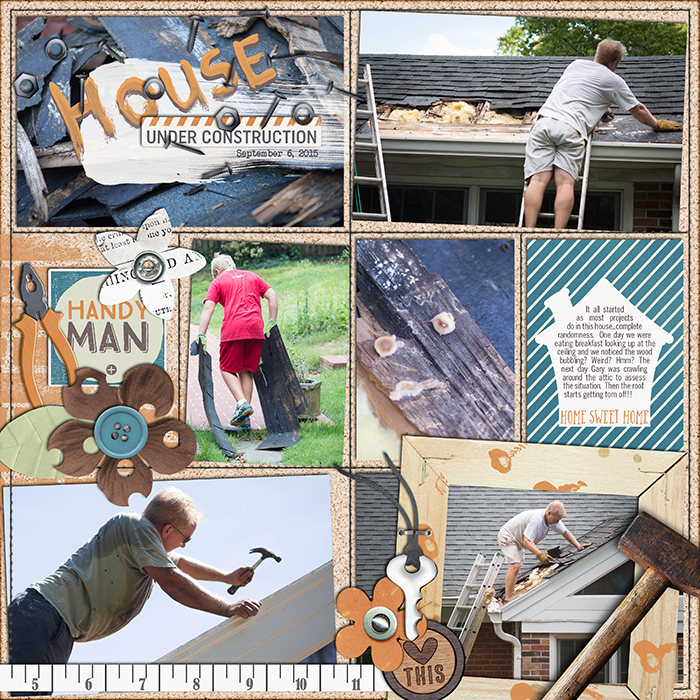 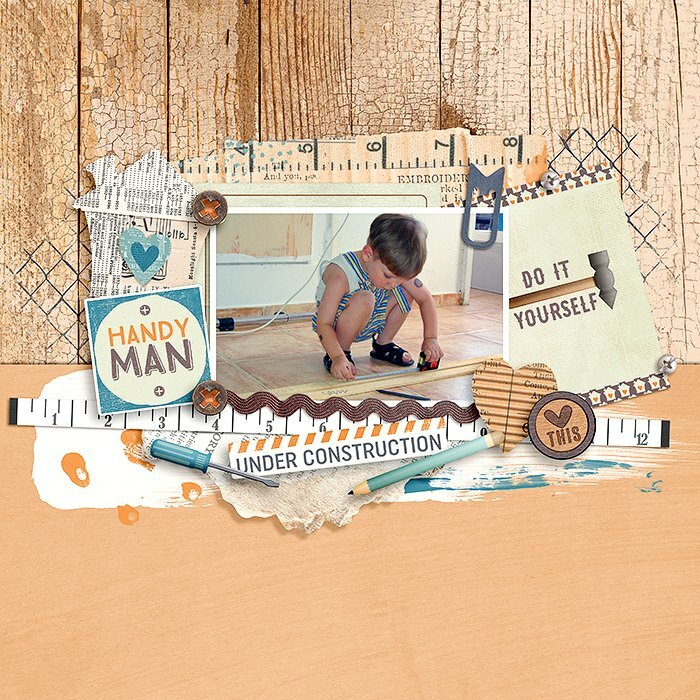 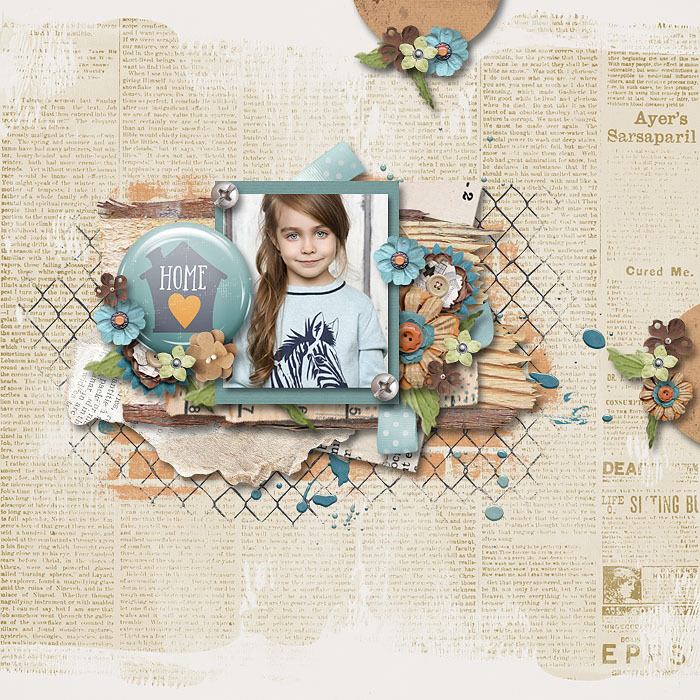 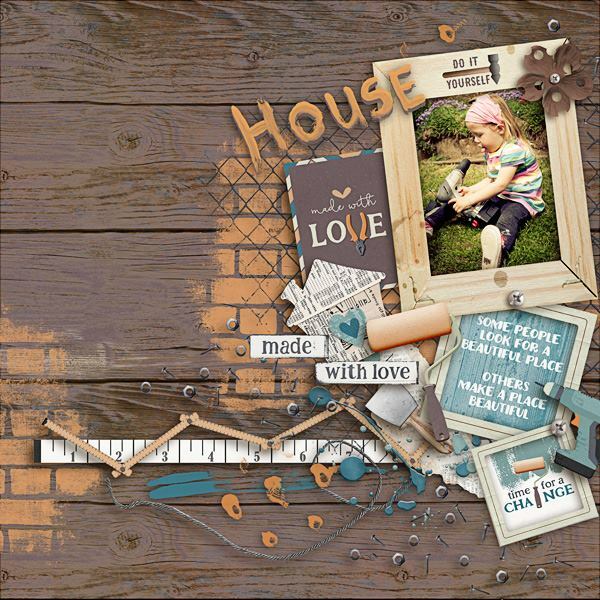 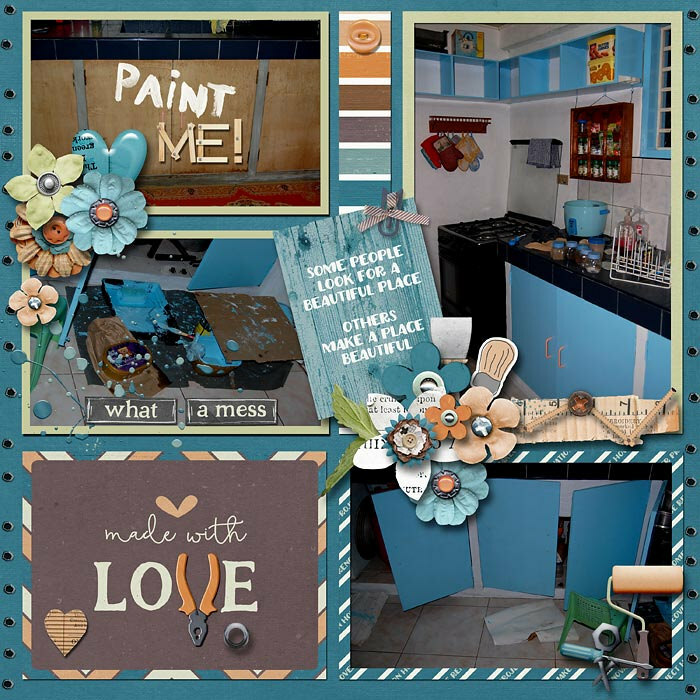 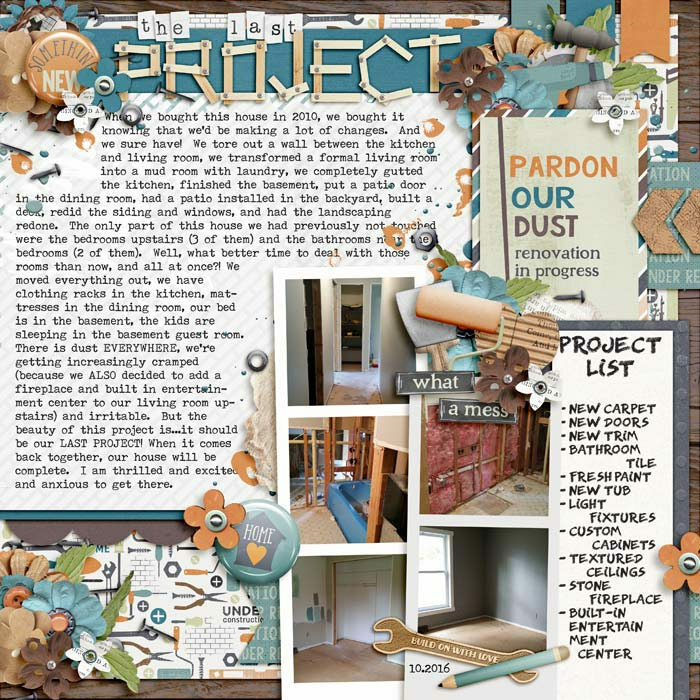 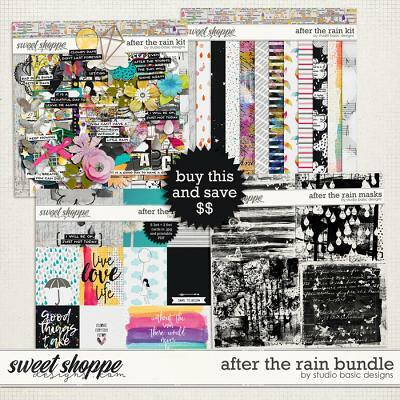 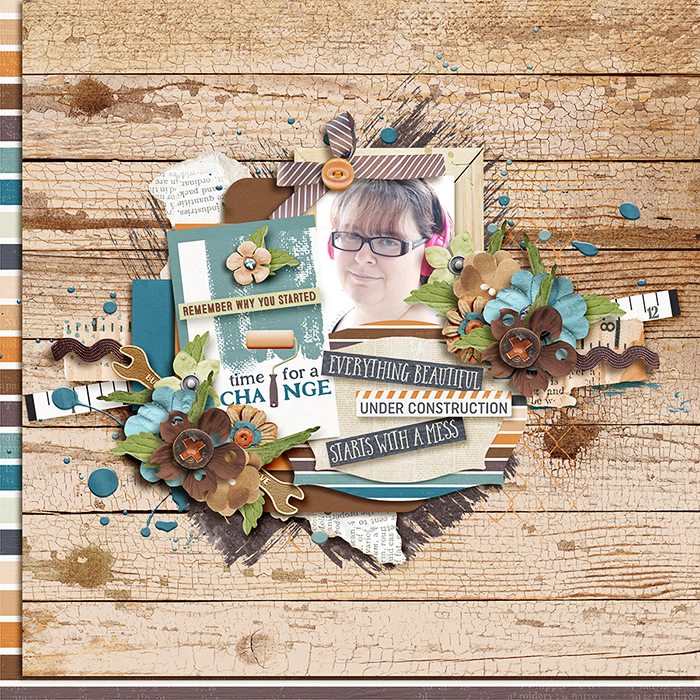 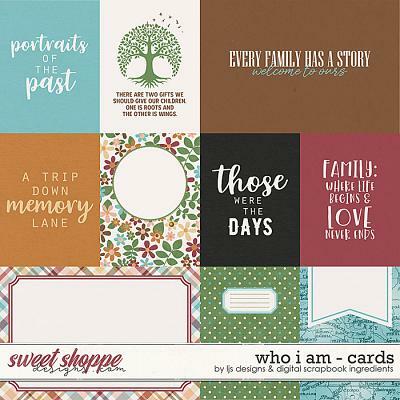 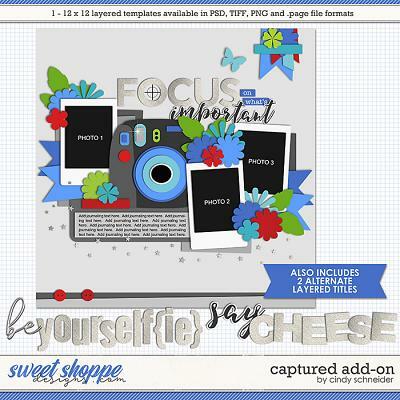 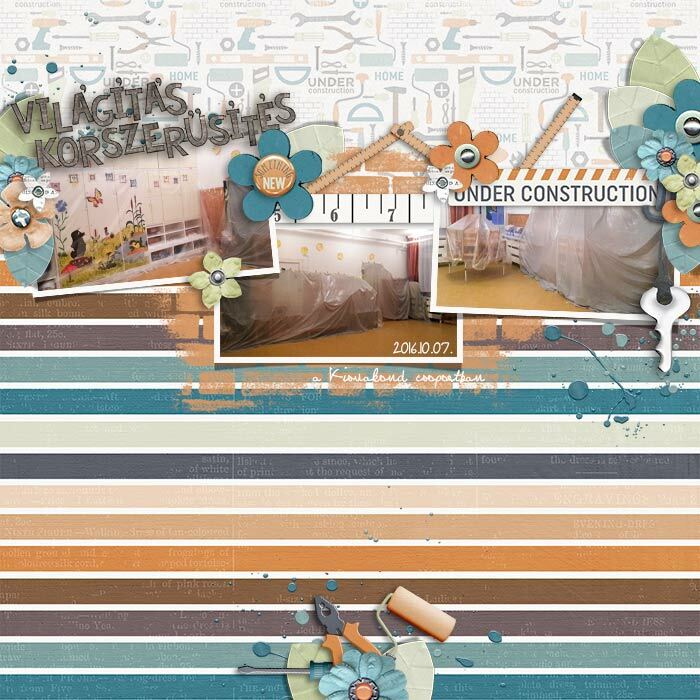 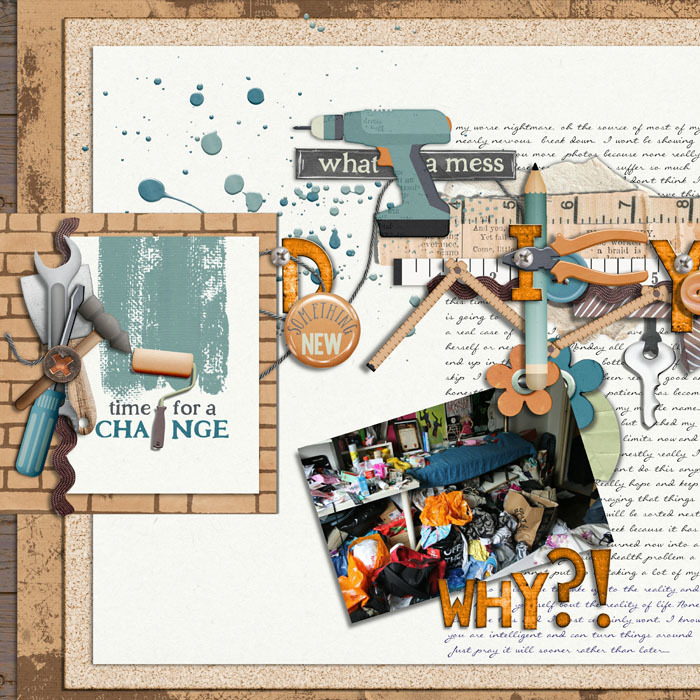 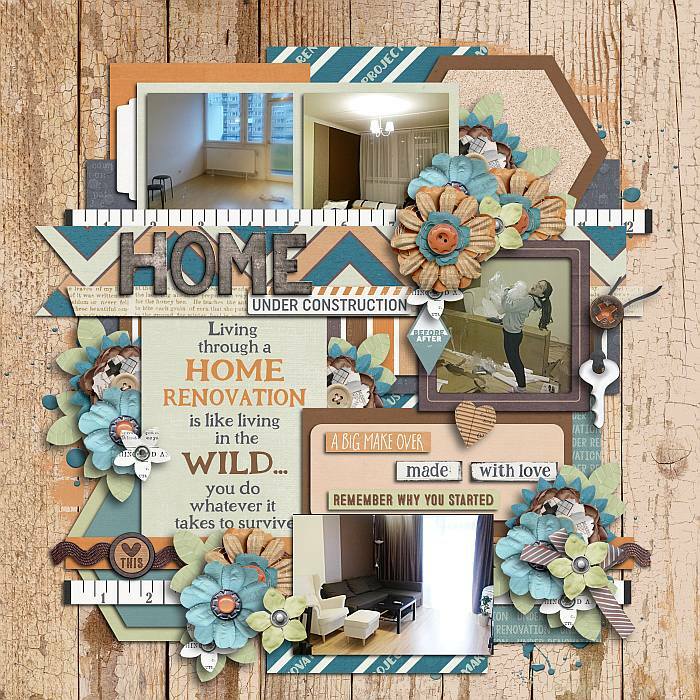 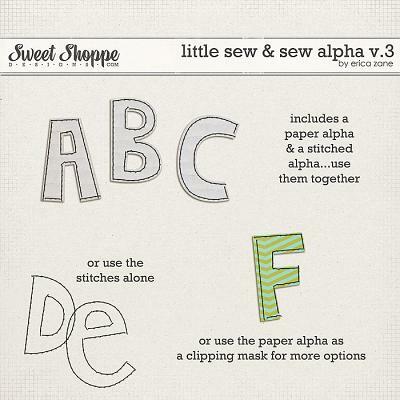 A digital scrapbooking kit by Blagovesta Gosheva and WedyP Designs, "Project House" is a fun kit, packed with over 80 elements, 2 alphas and 30 papers. 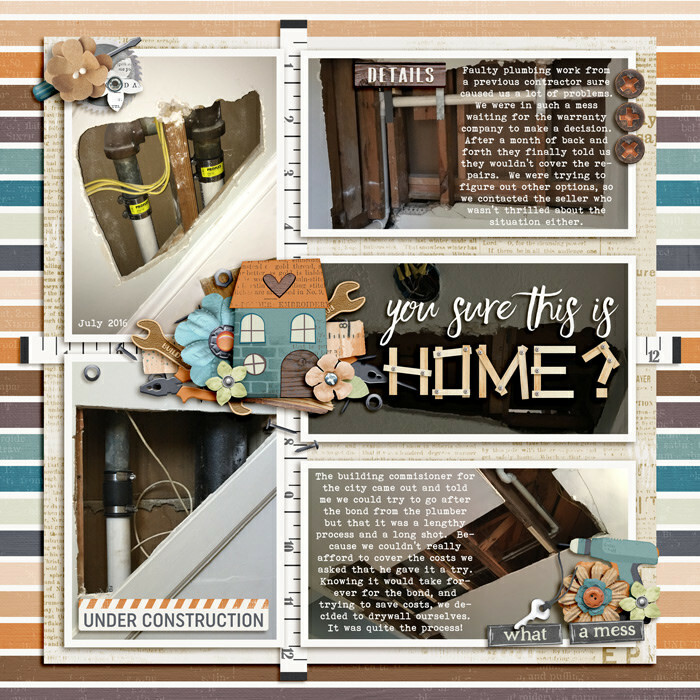 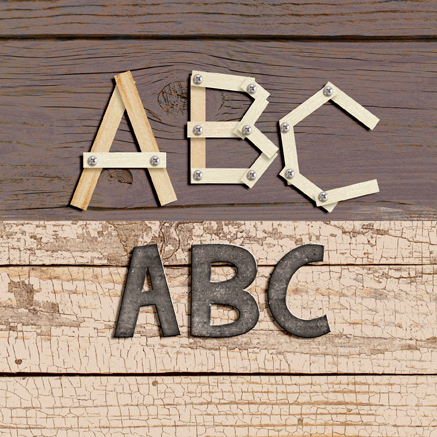 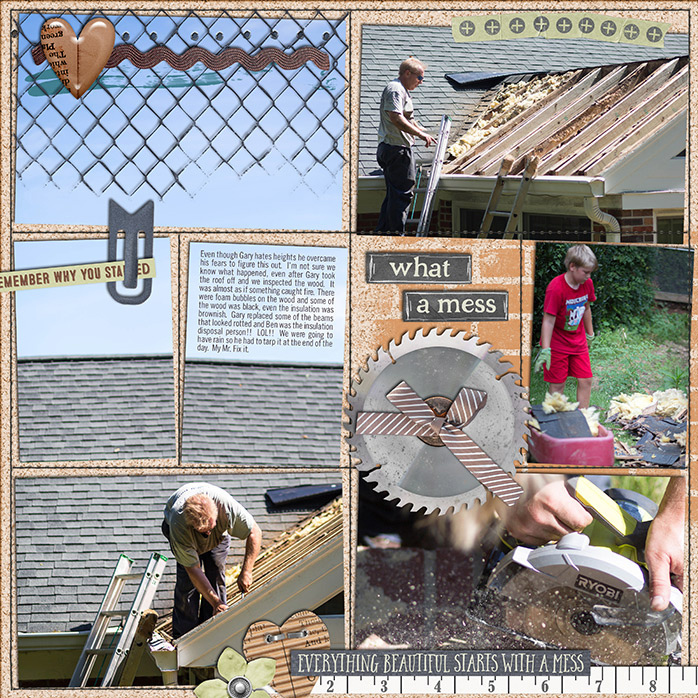 It's perfect not just for all these pictures of your home before, during and after the renovation, but for all pictures of the place you love and call home. 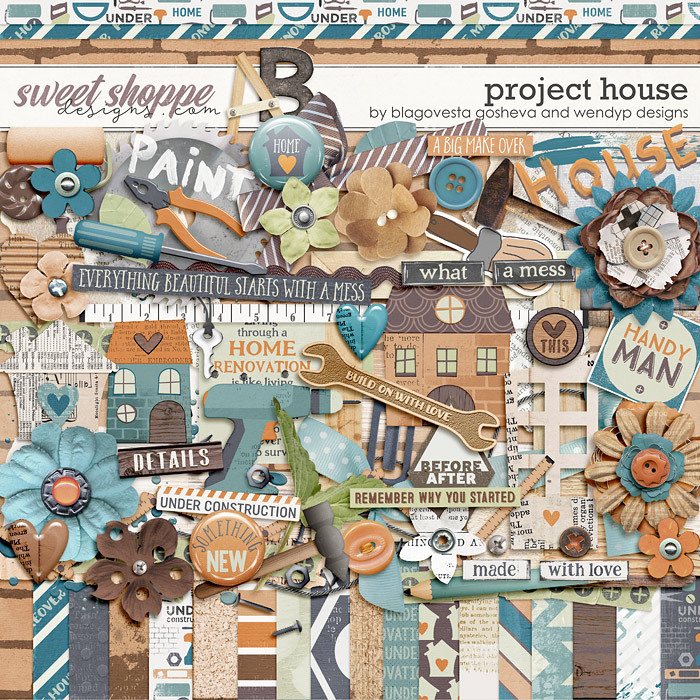 Contents: 18 patterned/brushed papers, 12 solid papers, 2 full Alphabets (Uppercase, numbers and some symbols and punctuation), 4 cute paper houses, 4 different screws, 2 screw heads, 2 hammers, paint brush, spatula, 2 wrenches, paint roller, tongs, screwdriver, pencil, drill, circle saw, 10 different wooden, paper and felt flowers, 4 leaves, 3 buttons, 2 3x4" pocket cards, hole border, paper clip, 3 flairs, 3 frames, 2 plastic hearts, paper heart, key on string, measure, wooden meter, 2 paperpieces, labels "before" and "after", ric-rac, 2 ribbons, string, scattered screws, washi tape, 2 overlays, 4 paints, 2 painted word art pieces, wood piece, 8 wordbits.